A couple months later we were driving home from Colorado to Austin and decided to make a stop at the American Girl store in Dallas to use a gift card we had received from Nana. My daughter really wanted a “Just Like Me” doll. Of course out of the 60+ combinations of hair, skin and eye colors and hair variations, none of them were really “just like her” with her short little pixie cut. Apologies for the “Black Hole Sun” creepy Photoshop skills. I promised her I wouldn’t use her real picture on the internet. I couldn’t really fault American Girl though, as many years of playing amateur Barbie beautician had taught me that it’s really best to keep those little creepy doll hair plugs covered with as much hair as possible (there’s a reason that Ken’s hair is a plastic shell, after all.) 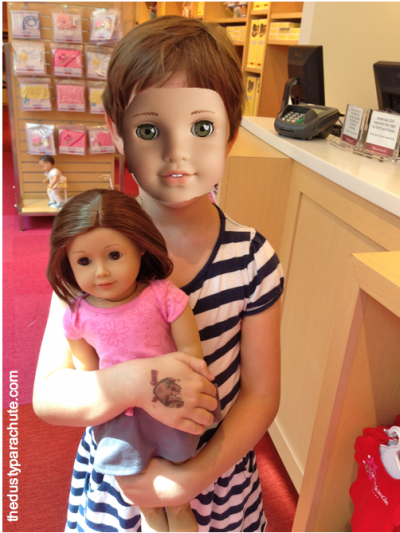 And even more, I applaud the fact that they offer a line of dolls without hair for children with hair loss. After my daughter finished assembling the house, she called me into the room excitedly to see what she had done. Sure, she was excited about the house, but what she was really excited about was that the set came with a dad, Peter, and thanks to a simple hair transplant, for the first time, she had a LEGO Friend that looked like her (and Peter had a pretty sweet glam-rock do). I told her she should send a note to the people at LEGO suggesting they do just that. She did and we got a friendly reply back, which essentially suggested that she could go to the LEGO store and buy any hair she wanted for her girls. A “meh” response. Honestly, I was kind of hoping for something more. I mean seriously, how much could it cost to plunk another hair option into each of the LEGO friends sets? A fraction of a cent? How cool would it be for LEGO Friends to step up and show that not all girls have to have long, flowy hair and ponytails? I would love for LEGO to create a LEGO Friends character who shows that girls can have sassy, pixie “Peter” hair and still be just as cute and girlie as all the other girls at the Heartlake City Pool. I think it’s time for Olivia to have a new friend move to town. She likes karate, hanging out with the boys and tricking out her motor home to look like this. And she loves her short, sassy hair. 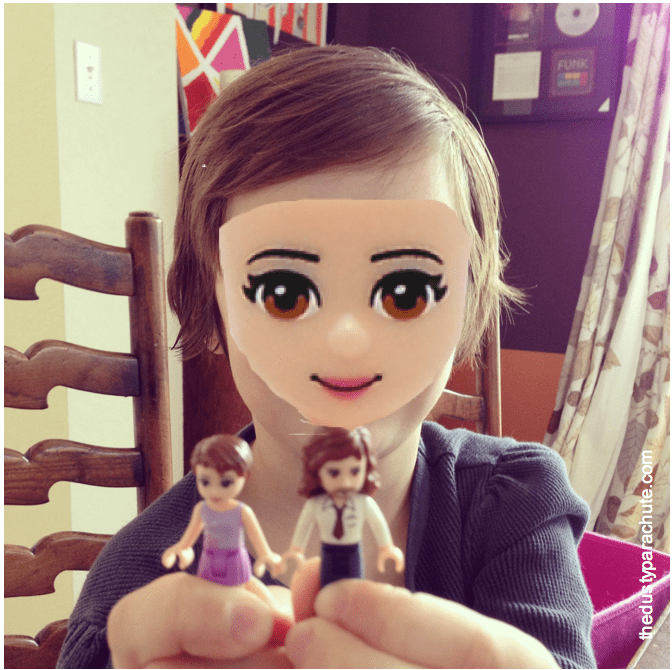 If you enjoyed this post about messing with LEGO Friends’ hair, click over here to see what I can do to an American Girl Doll. Susanne’s essays have been featured in Scary Mommy, BonBon Break and Redbook and she is also a contributor in the upcoming books, It’s Really 10 Months, Special Delivery and Martinis & Motherhood – Tales of Wonder Woe & WTF?! You can follow her on Facebook, Instagram and Twitter. 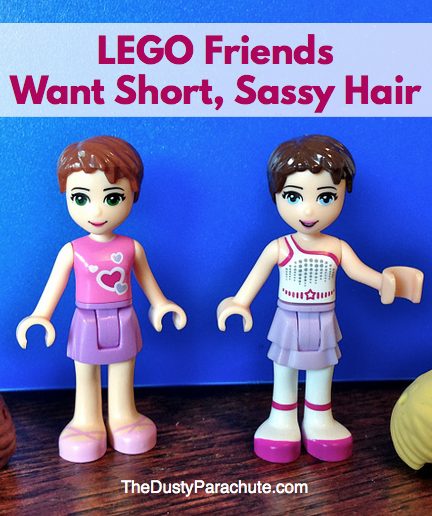 The Lego Friends look better with short hair! Your daugher sounds very creative, good for her for writing to Lego! 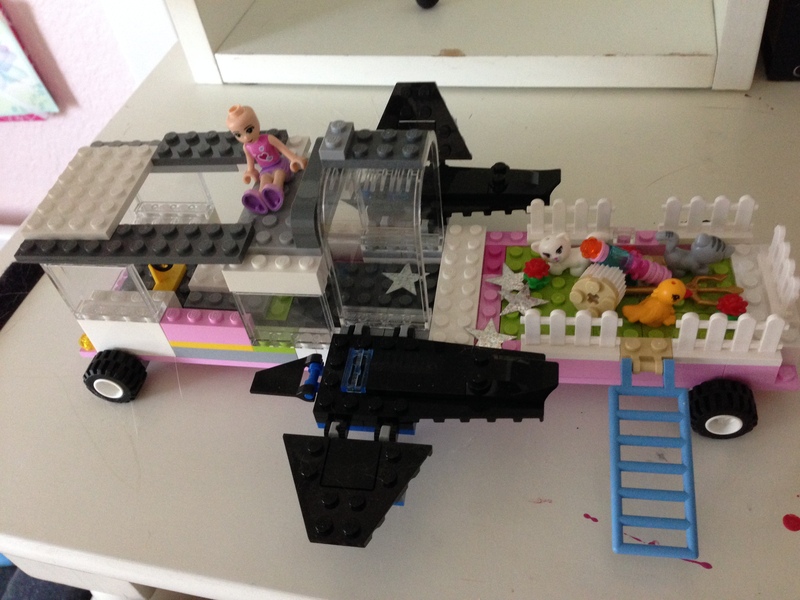 Our girls LOVE lego friends too! 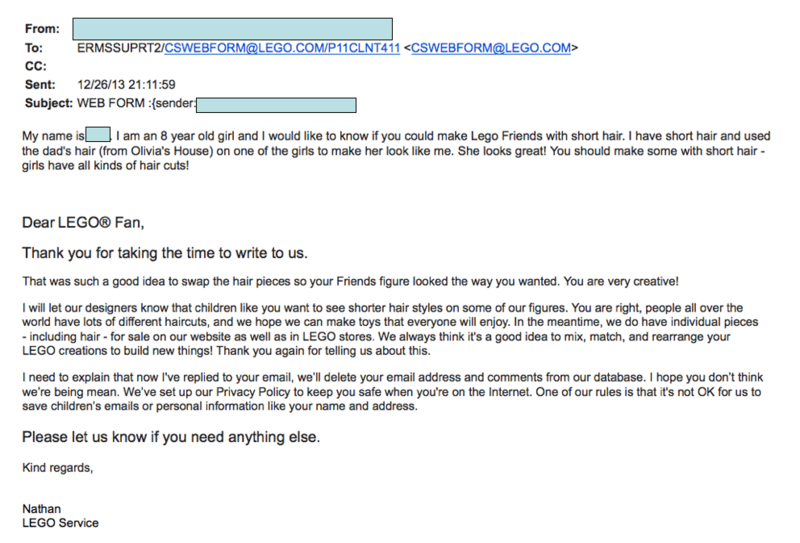 Super cute what you did and I love that she wrote to Lego! But couldn’t they have hooked her up with some free hair? Sheeesh! Hi, visiting from the SITs share. I have a Zoe as well. Thanks for alerting me to this. Mine likes “girl” and “boy” things as well. 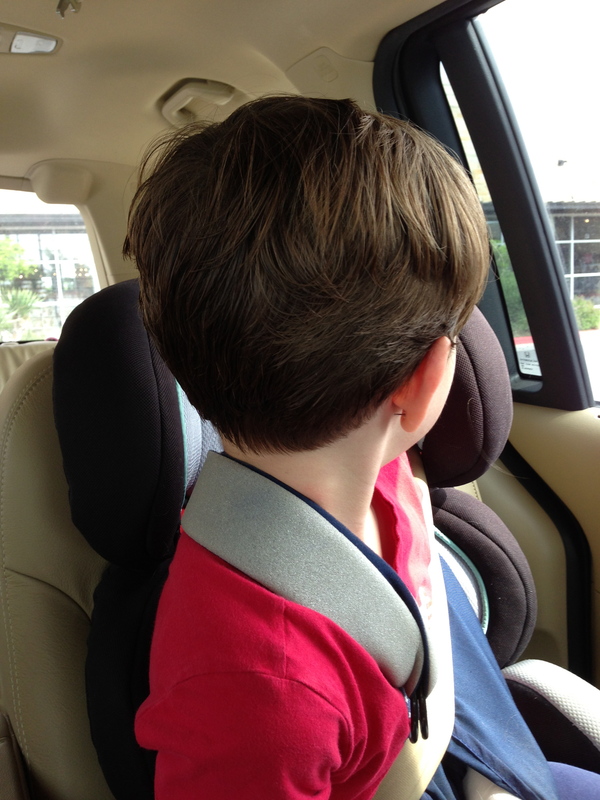 My daughter’s hair is long but when I was a kid I had the Dorothy Hamill haircut and was often mistaken for a boy as well. Haha.